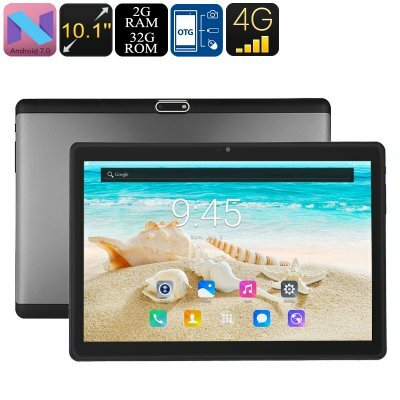 Successfully Added PB2 4G Tablet PC - Android 7.0, Dual-IMEI, 4G Support, Octa-Core CPU, 2GB RAM, 10.1 Inch HD Display, 5000mAh, WiFi, OTG to your Shopping Cart. Enjoy all the latest Android features on a stunning 10.1-Inch HD display with this 4G Android tablet. With its Android 7.0 operating system, it lets you enjoy a smooth user experience while tackling the Apps of your liking. With this Android tablet at your side, you’ll always be able to play games, watch movies, and browse the web. It comes with a 5000mAh battery that brings along up to 4 hours of continuous usage time. Therefore, you can be guaranteed that this Android tablet keeps you entertained throughout the day.